Last night the Detroit Lions held their annual event for their season ticket holders. It’s a chance for the fans to come out and ask guys like Matt Patricia and Bob Quinn questions about the direction of the franchise and what to look forward to during the offseason. 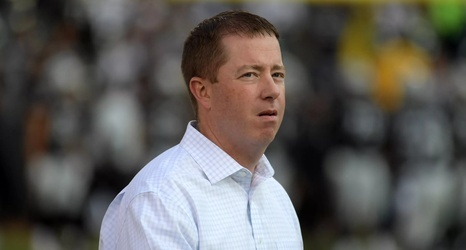 When Bob Quinn took the stage, he was asked about the possibility of taking a quarterback with the eighth pick in the draft. Then PFT got involved and everyone lost their minds. If you woke up this morning and saw this tweet, there’s a chance you’re getting ready to see the Lions take a quarterback with the eighth pick after they ship Matthew Stafford halfway to Siberia.